Prior to 1977, only jade was king in Wyoming. Today, the State has the most diversified assemblage of gemstones in North America & is known for gold, diamonds, pyrope garnet, chromian diopside, iolite, ruby, sapphire, opal, mexican fire opal, almandine garnet, kyanite, varisite, peridot, labradorite, helidor, aquamarine, apatite and other gems & rocks that were previously unknown, or just overlooked. The GemHunter describes many of his discoveries over 3 decades. and banded chalcedony occur in southeastern Arizona that are mostly untouched. described in my latest book on "Finding Gemstones ....". Not long ago, I was searching in Alaska, Colorado and California for gold, sapphire and diamonds when a couple of companies hired me to find them some mineral deposits. They gave me a credit card, keys to a 4WD truck, and told me to report back to them at the end of each month. I found some interesting targets that they never followed up on - one of my favorite targets was later found to contain diamonds - still strange how some mining companies operate. Another sent me to Alaska. Six other geologists and myself found one of the largest gold deposits in the 20th century and three of us were independent cusses from Wyoming. Teamwork doesn't work in exploration - exploration successes are mostly a result of independently minded prospectors and geologists. People who can get the job done by themselves in the middle of nowhere, and their only friend is a large gun (bear repellent). 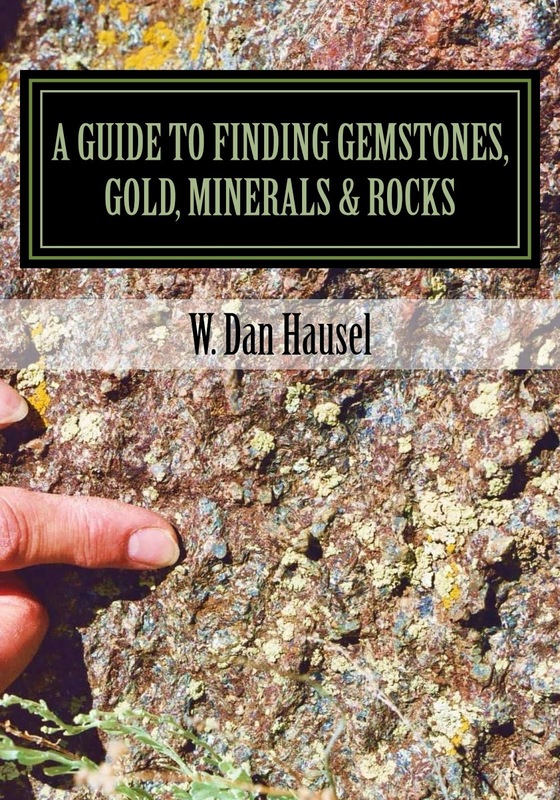 I tell some of my prospecting stories but mostly I describe what to look for in gemstones, how to recognize them, and them I give the reader dozens upon dozens of locations of gemstones and possible gemstones that they can easily follow up on to see if they can find treasure in the Earth. Is there good spots for gemstone prospecting in northeastern Wyoming? Yes, there are some interesting areas in the Black Buttes, Mineral Hill and Bear Lodge Mountains where you can find gold, wulfenite, fluorite, amethyst, jasper and agate. Thank you! We appreciate your amazing work and we try to apply when we go prospecting!!! eToro is the most recommended forex trading platform for new and professional traders. The most specific predictions are based on the prescriptions of a qualified Astrologer.Our experts are masters in their art with numerous years of experience. Genuine & very trust worthy, very reasonable prices and excellent service. If you want to buy genuine gem stones, I highly recommend this place.